GARDEN CITY, N.Y. — Former NFL running back, Mercury Morris, is scheduled to appear on Saturday June 18, 2016 to meet and greet fans where he will sign autographs and memorabilia at The “Perfect Show” autograph signing event. Mercury Morris will be there from 2:00 p.m. – 3:30 p.m. The event will take place at Adelphi University, 1 South Ave., Garden City, NY 11530. For more information, click here. Mercury Morris is a former NFL running back, nicknamed early on for his mercurial quickness when running with the ball. 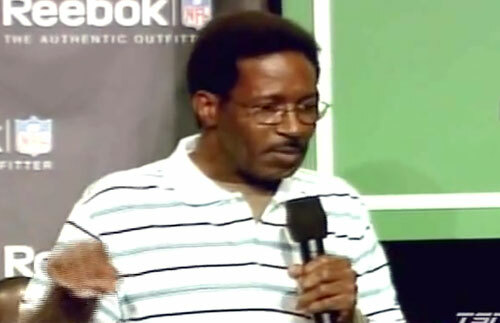 Morris was a running back and kick returner for seven years, playing mostly for the Miami Dolphins (at first, in the American Football League, then, in the American Football Conference following the 1969 merger with the NFL). Morris played in three Super Bowls and was selected to three Pro Bowls. Sports Speakers 360 is a booking agent for pro athletes. If you would like to book Mercury Morris for a speaking engagement, appearance or endorsement, contact a Mercury Morris booking agent for fees at 1.855.303.5450.